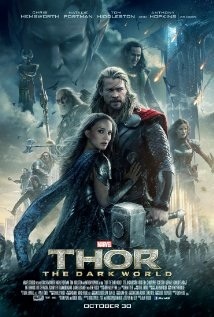 in Thor: The Dark World, Thor is forced to team up with Loki to save the Nine Realms from the Dark Elves led byMalekith, who is out for revenge and intends to plunge the universe into darkness using a weapon known as the Aether.Malekith’s forces, including enhanced warriors called the Kursed, are currently imprisoned on their home world of Svartalfheim, and the Aether is being kept within a stone column. However Malekith, his lieutenant Algrim, and a handful of Dark Elves manage to escape. In Asgard, Loki stands imprisoned for his war crimes on Earth. Meanwhile,Thor, alongside warriors Fandral, Volstagg and Sif repel marauders on Vanaheim, home of their comrade Hogun; it is the final battle in a war to pacify the Nine Realms following the reconstruction of Bifröst, the “Rainbow Bridge” between realms, which had been destroyedtwo years earlier. The Asgardians soon learn that the Convergence, a rare alignment of the Nine Realms, is imminent; as the event approaches, portals linking the worlds appear at random. Meanwhile In London, astrophysicists Dr. Jane Foster and Darcy Lewis are investigating strange portals which have appeared, disrupting the laws of physics around them and Jane finds herself teleported to another world, where she is infected by the Aether. Heimdall alerts Thor that Jane has moved beyond his near omnipotent sight, leading Thor to Earth. When Thor finds Jane and returns with her to Asgard. Odin, recognizing the Aether, warns that its return heralds a catastrophic prophecy. Malekith, awakened by the Aether’s release, turns Algrim into a Kursed and attacks Asgard. During the battle, Malekith and Algrim search for Jane, and. Thor’s mother Frigga is killed protecting Jane, but Malekith and Algrim are forced to flee without Jane. Despite Odin’s orders not to leave Asgard, Thor reluctantly enlists the help of Loki, who knows of a secret portal to Svartalfheim, where they will use Jane to lure and confront Malekith, away from Asgard. In return, Thor promises Loki vengeance on Malekith for killing their mother. With Volstagg Sif and Fandral assisting their escape, Thor, Loki, and Jane go to Svartalfheim. 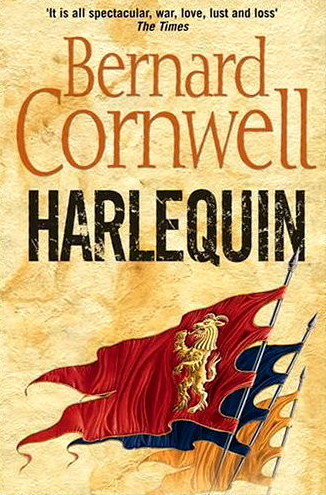 Having read plenty of exciting historical fiction, including The Last kingdom, AZINCOURT and Harlequin I have become a huge fan of British author Bernard Cornwell OBE, who was born 23 February 1944. Famous for writing Exciting historical fiction, He is best known for his novels about Napoleonic Wars rifleman Richard Sharpe which were adapted into a series of Sharpe television films, starring Sean Bean. As a child, Cornwell loved the novels of C. S. Forester, chronicling the adventures of fictional British naval officer Horatio Hornblower during the Napoleonic Wars, and was surprised to find that there were no such novels following Lord Wellington’s campaign on land. Motivated by the need to support himself in the U.S. through writing, Cornwell decided to write such a series. He named his chief protagonist Richard Sharpe, a rifleman involved in most of the major battles of the Peninsular War. Cornwell took the name from rugby player Richard Sharp.He attended the University of London, and after graduating, worked as a teacher. He attempted to enlist in the British armed services at least three times, but was rejected on the grounds of myopia. He then joined the BBC’s Nationwide and was promoted to become head of current affairs at BBC Northern Ireland. He then joined Thames Television as editor of Thames News. He relocated to the United States in 1979 after marrying an American. Unable to get a green card, he started writing novels, as this did not require a work permit. He later became a U.S. citizen. In June 2006, Cornwell was made an Officer of the Order of the British Empire in the Queen’s 80th Birthday Honours List. Azincourt was released in the UK in October 2008. The protagonist is an archer who participates in the Battle of Agincourt, a devastating defeat suffered by the French during the Hundred Years War. In 2009, he released The Burning Land, another of the six Saxon Stories centered on the protagonist Uhtred of Bebbanburg. The sixth installment of the series, Death Of Kings was released in September 2011.Another of Cornwell’s standalone novels, The Fort, was published in 2010. It tells of the Penobscot Expedition of 1779 during the American Revolutionary War, in which a small British force, sent to what is now Castine in the State of Maine, were assaulted by an army with a huge fleet sent by the State of Massachusetts.